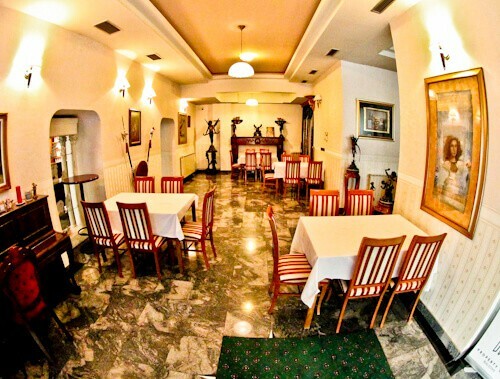 The Elsa Hotel is an excellent choice for both the tourist and business traveler in Skopje. 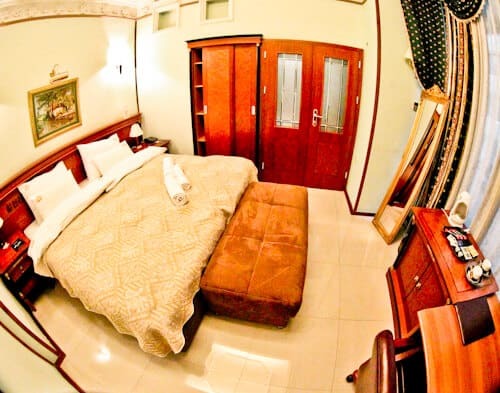 Visit the Elsa Hotel website for the best room rates. For the latest events and pictures check the Facebook and Instagram feeds. To communicate quickly with the hotel I recommend Facebook Messenger. 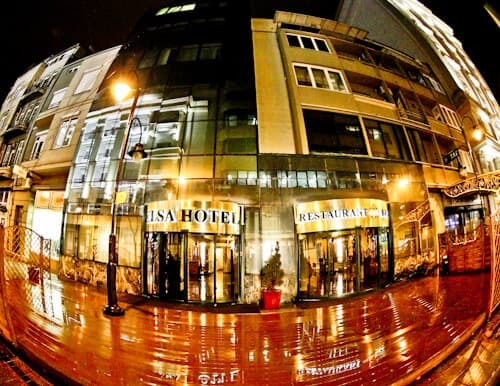 Elsa Hotel is located in the center of Skopje. It’s a 5 minute walk to the famous Macedonia Square, the central square of Skopje. In addition there is a modern shopping mall close by. Skopje Fortress, the Old Bazaar, the Stone Bridge and several museums are all a short walk away. If you’re arriving in Skopje by car, there is secure public parking close to the hotel. 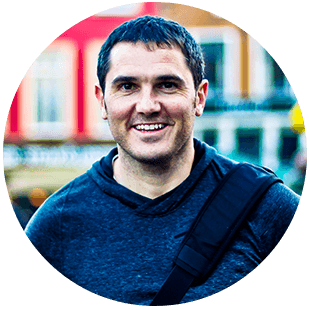 You’ll receive a warm welcome to Skopje, Macedonia at check in. As Skopje is still a less visited destination, tourists are made extra welcome. Be sure to ask for a city map and have the staff circle the points of interest for you. As well as the points of interest of the city, you should ask about nearby Matka Canyon. The hotel will be able to organize a fair value taxi ride to the canyon for you. 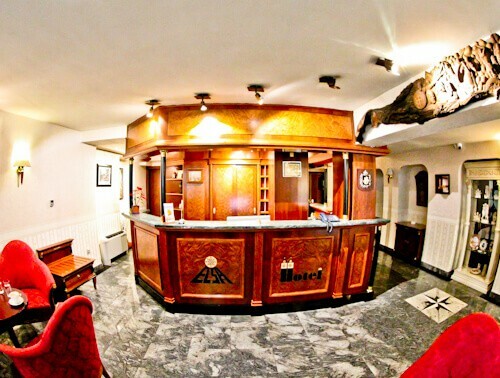 In addition to welcoming tourists, the hotel welcomes business visitors in Skopje. Many famous Eastern European politicians have stayed at this hotel. In fact, in reception there is a picture of the hotel owner with Vladimir Putin. The guest room is both classic and luxurious. In fact, the guest room is one of the homeliest I have ever stayed in all over the world. The classic furniture and full length mirror really make a difference. A useful feature about the guest room is the complimentary tea and coffee. This feature benefits both the business traveler and tourist in Skopje. The bathrooms compliment the guest rooms with their unique style. In addition, they have all necessary amenities. There is the important vanity mirror and a hairdryer. Of course you’ll also find the required soaps and shampoos. My bathroom featured a bath tub with Jacuzzi features. 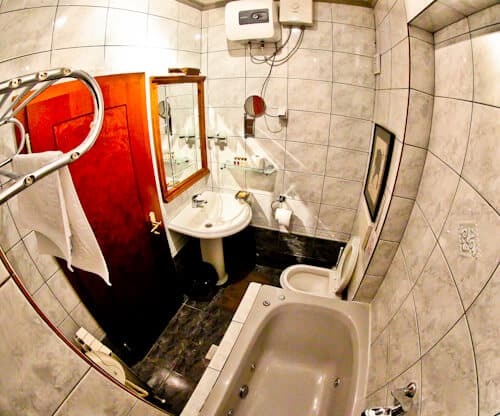 Be sure to request a room with Jacuzzi when you make your booking. For guests who like a spa experience, be sure to ask about the onsite spa at reception. Breakfast is served in the interestingly designed restaurant. It’s worth taking a few minutes to view the artifacts in the restaurant. If you have any questions about them, the staff will be happy to explain. You can make some interesting Instagram photos with the artifacts in the restaurant. In addition to the on site restaurant, there are hundreds of restaurants and cafes within walking distance of the hotel. With the price of hotels in Skopje being incredibly good value, you should definitely consider this luxury option for your stay. 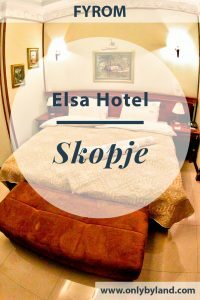 With the luxury features, perfect location and friendly staff, Hotel Elsa is definitely the best option in Skopje. 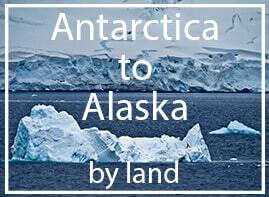 Visit the Elsa Hotel website for the best room rates. For the latest events and pictures check the Facebook and Instagram feeds. To communicate quickly with the hotel I recommend Facebook Messenger.